Felipe’s death must be the last. Tell your representatives to act now to prevent future deaths at the U.S. border. Sign our petition today. A second child tragically died at the U.S. border: an 8-year-old named Felipe Alonzo-Gomez, who was detained with his father for nearly a week. With a new Congress now in session, let's seize this opportunity to ensure our representatives take action now and #PrioritizeLivesNotWalls. I know you’re aware of this urgent matter. On Christmas Eve, another child tragically died at the U.S. border: an 8-year-old named Felipe Alonzo-Gomez, who was detained with his father for nearly a week. We need to know why this child, after going to the hospital with a 103-degree fever, was released just hours after and sent back to a highway checkpoint. • conduct hearings to transparently and independently investigate the deaths of Felipe and Jakelin (the 7-year-old who died earlier in December), including testimony from medical professionals, especially pediatric specialists. • codify Customs and Border Protection (CBP) protocols by legislating standards for those in CBP custody regarding medical screening, treatment, and transfer to definitive care. This must include requiring external audits of their medical services with public reporting and accessible interpretation services to ensure accurate screenings, care, and informed consent. 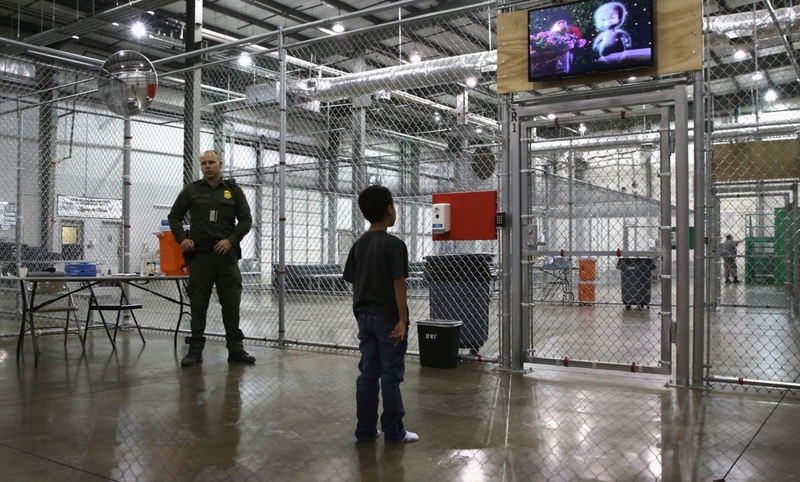 • the Department of Homeland Security (DHS) increase use of alternatives to detention models to minimize the time that any child is detained. Children should never be held more than 24 hours in CBP holding cells, which are inadequate to provide minimum conditions for child health and safety, whether through transfer of children directly to the Office of Refugee Resettlement or to an enhanced CBP processing center with access to pediatricians and child welfare professionals. • CBP ensure that all border patrol outposts have at least one qualified health professional able to conduct medical screening during intake. At a minimum, CBP must ensure that facilities which have detained children and families in the last fiscal year should be staffed with a qualified health professional. PHR was founded in 1986, on the idea that physicians, scientists, and other health professionals possess unique skills that lend significant credibility to the investigation and documentation of human rights abuses.